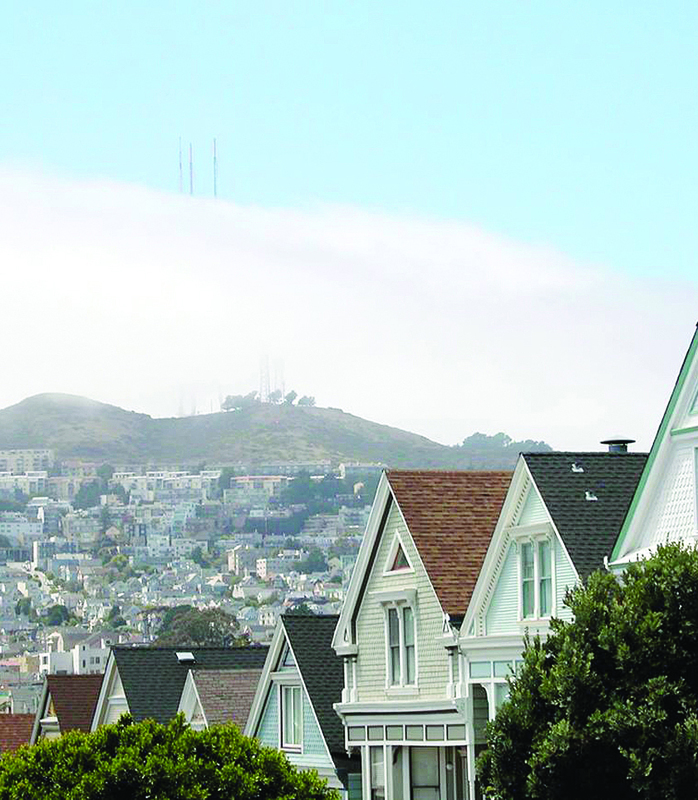 Nestled on the eastern slopes of Twin Peaks and surrounded on three sides by hills, Noe Valley has the feel of a small town within a big city. “Downtown Noe Valley” is a concentration of businesses along a five-block stretch of upper 24th Street, but most locals extend the boundaries of greater Noe Valley to Grand View Terrace, Dolores Street, 21st and 30th streets. Noe Valley has public and private schools and is well served by the Muni J line and several bus routes. The Noe Valley Sally Brunn branch of the public library system and a Saturday Farmers Market are within easy walking distance. The parks are well used and many restaurants have lines of people outside waiting their turn while watching kids in strollers. You can buy a $1 million Victorian home or a copy of the “Street Sheet” in Noe Valley — or stop in at a sports bar or coffee emporium after getting your nails done or going to church. Much of the best of San Francisco can be found in Noe Valley.